a time to be born..."
can you hear the birds singing along? 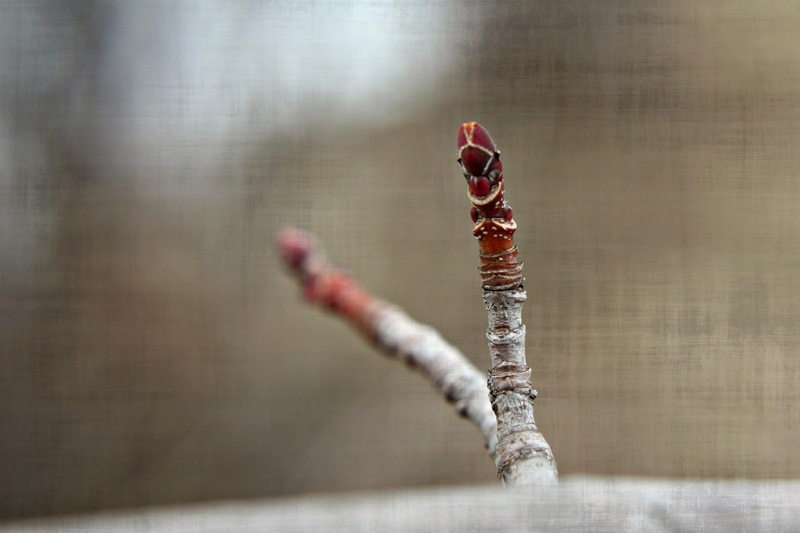 Lovely photos of the coming of spring. I especially like the texture on the first photo -- so interesting, like dripping drops of paint. Beautiful post ... so full of hope for the new season! This was gorgeous! So so so true. The wait was hard (and cold) but nature wasn't ready yet! Lovely shots, full of hope and anticipation. Great photos! Spring is such a gorgeous thing, so many lovely things happens with the renewal. I didn't even know what I was missing out on until I lived in Colorado while attending university - it doesn't really bloom here in FL. your images are always so special, so artful!! Beautiful! I love the tree silhouettes! Oh the miracle of new growth ... and don't you wonder how it is that nature can survive the harshest of winters and then put forth all of this beauty. Your pictues are refreshing and beautiful. "Each new birth a cause for celebration." I have often thought, in the melancholy that accompanies fall, "What if this is the last time the trees have leaves?" I've thought that since childhood. Each birth a celebration. indeed. Love the texture filters you put on these. Also, like the 3rd one. 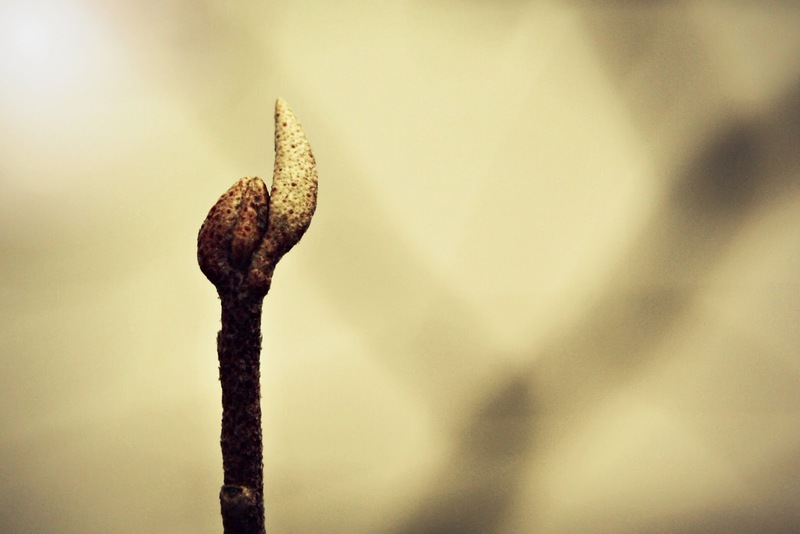 It reminds me of the tree raising a defiant fist as if to say, I WILL bloom soon! I absolutely love the texturing edits on your tree photos especially. Beautifully done. I love love love the textures! I hear birds singing, but I also woke up to snow...bah! Outstanding! Loving the texture added to your shots. It is wonderful and fascinating to watch the awakening of the trees. 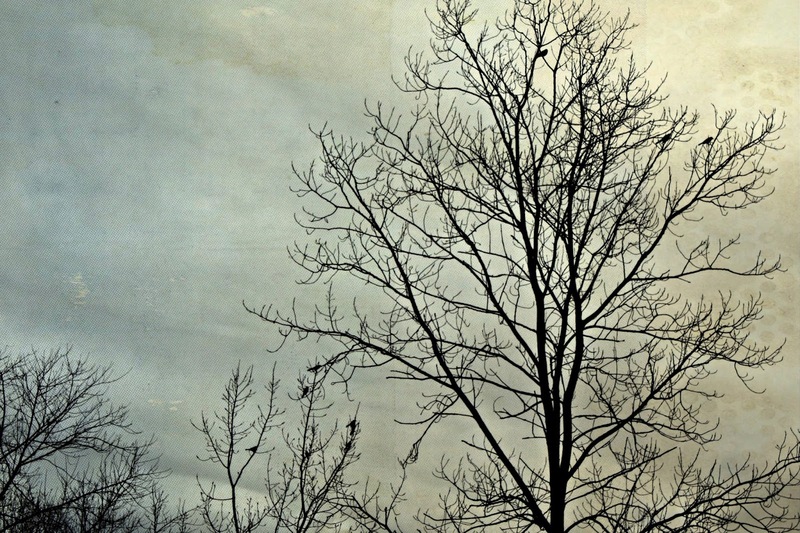 I love tree silhouettes and these are lovely! I imagine arms reaching for the skies. Your photos bring HOPE in the midst of winter STILL in Minnesota. love these photos. I am enjoying looking up through the trees to see the change in them. It's like I can't remember what leaves look like, but once the leaves come, I won't remember what the bare limbs looked like. Such great shots, springtime is just around the corner. Beautiful texture work on your photos! I usually am not a fan of too much texture on photos...I think you hit a perfect balance to create a real "feel" to your compositions. Lovely. Thank you for joining in at Song-ography.